[/mk_fancy_title][mk_fancy_title tag_name=”h2″ style=”false” color=”#282828″ size=”18″ font_weight=”normal” font_style=”inhert” txt_transform=”none” letter_spacing=”0″ margin_top=”0″ font_family=”Raleway” align=”left” font_type=”google” margin_bottom=”18″ el_class=”font-medium”]Google has far surpassed design expectations in many locations across the world. 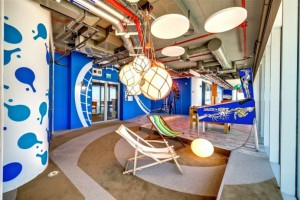 And their new office in Tel Aviv, Israel raises the office innovation benchmark even higher. [mk_fancy_title tag_name=”h2″ style=”false” color=”#000000″ size=”18″ font_weight=”normal” font_style=”inhert” txt_transform=”none” letter_spacing=”0″ margin_top=”0″ font_family=”Raleway” align=”left” font_type=”google” el_class=”font-medium”]There was a unanimous trend toward family, optimism, and heritage. The firm thus decided to devote an entire floor to expressing each of these subjects. The heritage floor is a picturesque landscape that walks through Israel’s thriving agricultural sector. Israel is one of the world’s leading fresh citrus producers and exporters, including oranges, grapefruit, tangerines and the pomelit, a hybrid of a grapefruit and a pomelo. Other fruits include avocados, bananas, apples, cherries, plums, nectarines, grapes, dates, strawberries, prickly pear, and pomegranates. This urban farmyard also subtly creates a very tranquil, hillside ambiance within the concrete walls. 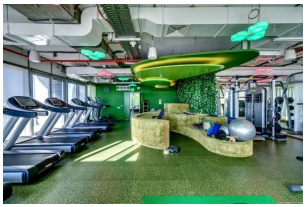 When you don’t have time to leave the office and venture off into the countryside, don’t worry, Google brings the countryside inside the office. The pathway then meanders through a quaint fresh flower store with Vespa chairs that overlook the grand city skyline. Israel produces vast quantities of flowers for export that exceeds an annual profit of $50 million. Today, Israel is a major player in the global floral industry, especially as a supplier of traditional European flowers during the winter months. The incorporation of these two key segments of Israel’s heritage into the workspace really shifts the dynamic from being just a place of work, to being more of an extension of oneself. The family floor is a space to relax and have fun, even though it’s at work. The company also regularly hosts family get-togethers and in-house children’s activities to really create cohesion between work life and family life. Google also promotes a culture of delivering results not time stamps. Employees are required to fulfill deadlines and productivity targets, and as long as this is achieved, it does not matter where or how long they work. The family floor reminds Googlers to enjoy work. To be creative. To think outside the box and let their imaginations flow. And many Googlers have confirmed that gazing out the large floor-to-ceiling windows while relaxing on a beach chair really does assist creative expansion. 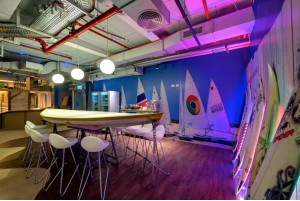 Googlers also agreed that they preferred communal space rather than personal office space. So there is a series of small, compact workstations through parts of the building, complemented by elaborate, extremely varied collaborative spaces. According to Camenzind, one of the pleasures of working with Google is that the company is not afraid to experiment. “You need to be allowed to try out things and allowed to fail, in order to find what really works”. In that spirit, the decor of the common work spaces is extremely diverse, to give employees the ability to easily transition into different work environments depending on the project and the overall mood of the team. 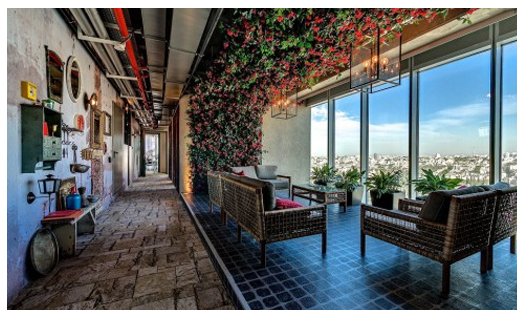 Being in Israel, for lunch the Googlers can choose from three amazing restaurants, for non-kosher, kosher dairy, and kosher meat, each of the restaurants designed to its own style and theme.